It is the Mission of the North Haven Public Schools in collaboration with students, parents and community to develop responsible, educated and productive global citizens who can thrive in an ever changing world. 1. We believe that our obligation is to help students mature into independent, reasoning, and responsible individuals who can adapt constructively to an ever-changing, multi-cultured world. 2. We believe we must challenge students and staff to perform at their highest capabilities. 3. We believe that students will best attain these capabilities if their unique needs, interests, strengths, weaknesses, backgrounds, learning styles and range of scholastic and creative abilities are acknowledged. 4. We believe by respecting and developing their unique learning styles and interests, students will exhibit their unlimited potential. 5. We believe effort makes a difference and that students should be provided with opportunities to pursue a rich and rigorous academic curriculum. The curriculum will provide comprehensive programs and a range of instructional strategies to meet the requirements of students with varied backgrounds, abilities, aspirations, and needs, and that this curriculum will be evaluated periodically. 6. We believe students need to develop self-esteem, an appreciation of the worth of others, a joy in learning, and a desire and willingness to achieve a standard of excellence commensurate with their abilities. 7. We believe schools must convey to students the purpose of the educational program and help them to understand they must share responsibility for its success. 8. We believe in developing students’ ability to problem solve, think critically, work collaboratively, express themselves creatively, and communicate effectively. 9. 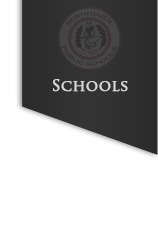 We believe the schools will actively seek community support and involvement through close communication and cooperation. 10. We believe an understanding of and respect for diverse beliefs, cultures, backgrounds, abilities, and perspectives enrich the lives and learning environment for all students. 11. We believe in the appropriate allocation of resources to provide a cohesive, guaranteed, viable and relevant curriculum for all students. 12. We believe in the importance of effective communication and collaboration between families and school personnel to foster a safe and nurturing educational experience. 13. We believe in developing a passion for lifelong learning and in the importance of connecting students to the school community, and world. 14. We believe that our educational aim will best be achieved in an atmosphere of mutual respect, concern and support. 15. We believe that in the final analysis we are all to be accountable for the present and the future success of the North Haven Public Schools. As a result of their experiences in the North Haven Public Schools, every student will acquire the skills necessary to meet the demands of the 21st Century. 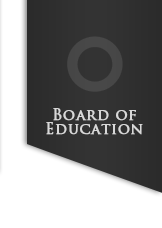 It is the policy of the North Haven Board of Education that no staff, student, or parent on the basis of race, color, gender, age, national origin, marital status, disability, relation or sexual orientation be excluded from participation, be denied benefits of, or be subjected to discrimination under any education program or activity sponsored by its public schools. Retaliation against any individual who complains pursuant to the Board’s policy and regulations is strictly prohibited. 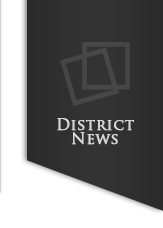 The district will take actions necessary to prevent retaliation as a result of filing a complaint. 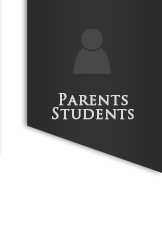 The purpose of this website is to keep parents, students and the North Haven community informed about our school system. We hope you find helpful information when visiting and we invite you to give us feedback to improve our site.